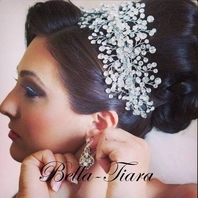 Valentina - GORGEOUS antique silver pearl wedding headpiece - SPECIAL!! 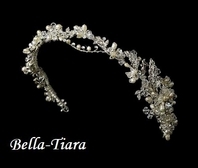 HOME / WEDDING HEADPIECES / Wedding Headbands / Valentina - GORGEOUS antique silver pearl wedding headpiece - SPECIAL!! 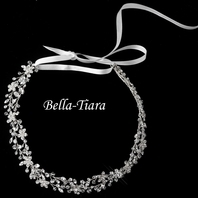 Description: This stunning antique silver plated headband is perfect for the bride or bridesmaid alike. 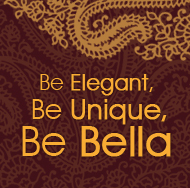 Rhinestones and faux pearls flower details with encrusted rhinestones, faux pearls and clear Swarovski crystals in a lovely bouquet design. 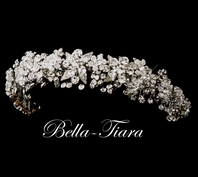 A dazzling accessory for any bridal look.